Scientists are taking a closer look at a set of ancient teeth, first discovered in the 1970s but thought to have originated more than 200,000 years ago, under the suspicion that they could reveal a previously unknown human relative. The four teeth were first discovered in the Yanhui Cave, located in Southern China’s Tongzi county, between 1972 and 1983. At the time, they were classified as Homo erectus, a primitive human species that could walk upright and dates back 1.8 million years ago. 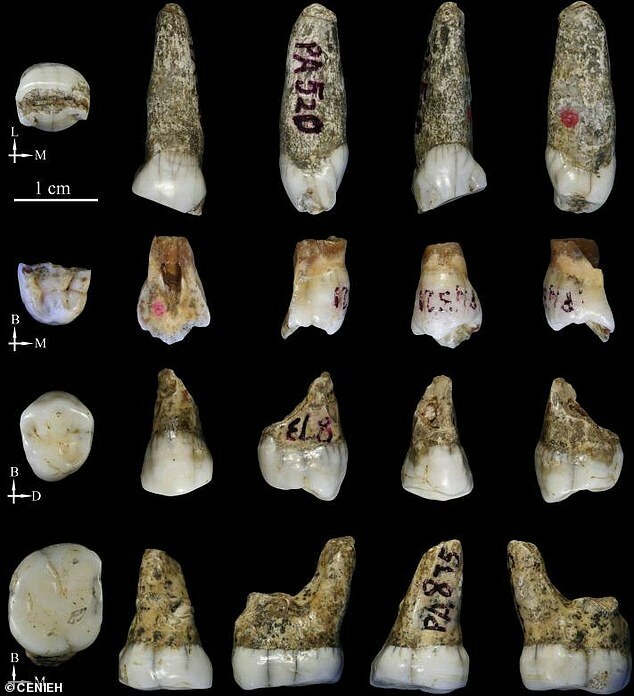 Now, a team of researchers from the Centro Nacional de Investigacion sobre la Evolucion Humana (CENIEH) believe the teeth could have originated from either Homo erectus or their more advanced counterpart, Neanderthals, or possibly some other mysterious, hybrid group. To come to this conclusion, the researchers used modern methods like geometric morphometrical analysis, which primarily examines the change of shape, and Micro-Computed Tomography, or x-ray imaging in 3D. Researchers said the teeth can be dated back to approximately 172,000 to 240,000 years ago. As part of their analysis, they compared the Tongzi teeth to hominims from the same chronological period – the later part of the Middle Pleistocene epoch – and the surrounding areas of East Asia, according to the study.